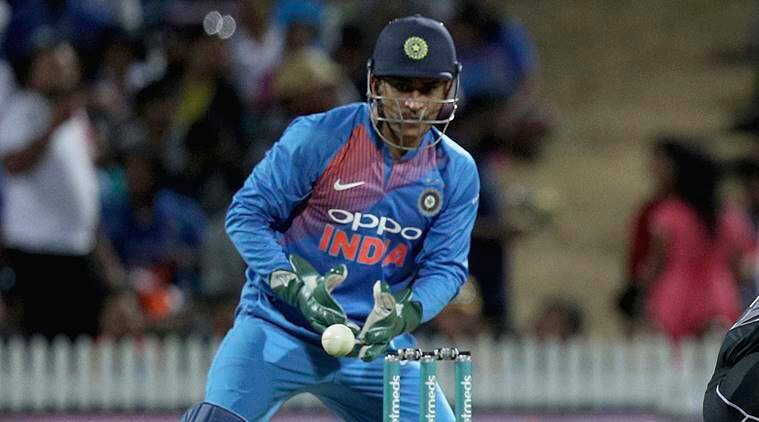 MS Dhoni proved himself as the master of quick stumping once again as he provided a breakthrough for India by taking just 0.099 seconds to send off Tim Seifert in the third and final T20I against New Zealand. MS Dhoni proved himself as the master of stumpings once again. The veteran wicketkeeper provided India the breakthrough in the third T20I against New Zealand in Hamilton by effecting the dismissal of opener Tim Seifert on Sunday. Kuldeep Yadav was the bowler and he tempted Seifert forward with a flighted delivery that spun away from him. Dhoni took the ball in his gloves and took off the bails, all in 0.099 seconds. Hosts New Zealand got off to a flying start thanks to Colin Munro and Seifert. The pair smashed an opening partnership of 80 runs off just 46 balls. Munro was especially brutal and he missed out on a century later in the night but the first breakthrough came in the form of Seifert’s wicket in Kuldeep’s first over of the match. Dhoni looked confident and sure of the flash-stumping as he started walking towards his teammates to celebrate the wicket. The replays showed that the stumping was very close, with commentators expressing surprise when the third umpire decided that Seifert had to go. But they all were unequivocal in their praise of the 37-year-old former India captain’s agility. Indian captain Rohit Sharma won the toss and opted to bowl in the series-deciding third T20I. India made one change with Kuldeep Yadav coming in for Yuzvendra Chahal. New Zealand also made one change with Blair Tickner replacing Lockie Ferguson.